When we were little innocent kids, the only juice we know are the ones in big cartons or in tetra packs with straws. Then we grew bigger to know that there are more fruit flavors other than just Orange. Then we matured enough to know that we can drink juice not just from fruits but from vegetables too! I was introduced to the juicing culture back in Highschool when our Dad came home one day with a juicer. At first, we thought it’s gonna be just another toy he buys to put on “display” but fast forward today, here I am abusing every inch of it. Judging from the timeline, evidently it is an old model but it plays the part ever so perfectly for my juicing needs. 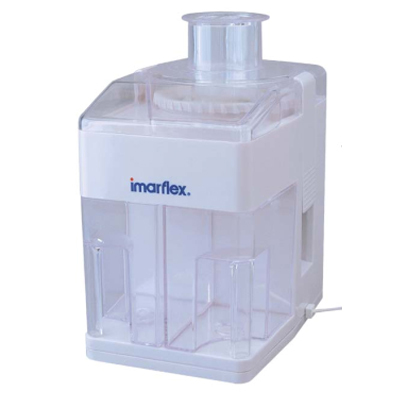 I use this Imarflex IM 3180 Juice Extractor. Like any old juicer, this does not have a speed control. New juicers with such function are more desirable because it can squeeze out vegetables/fruits slowly thus it produce more juice. Juicing is one of the most organic way to detoxify. Gulping down dense nutrients is a more efficient way of absorbing valuable compounds found in fruits/vegetables. Personally, I find juicing as a faster alternative to take in the veggies and fruits included in my diet for a specific day or week. Also, it is a great way to make most out of the nutrients from fruits/vegetables I normally would not eat raw, i.e. Kale. 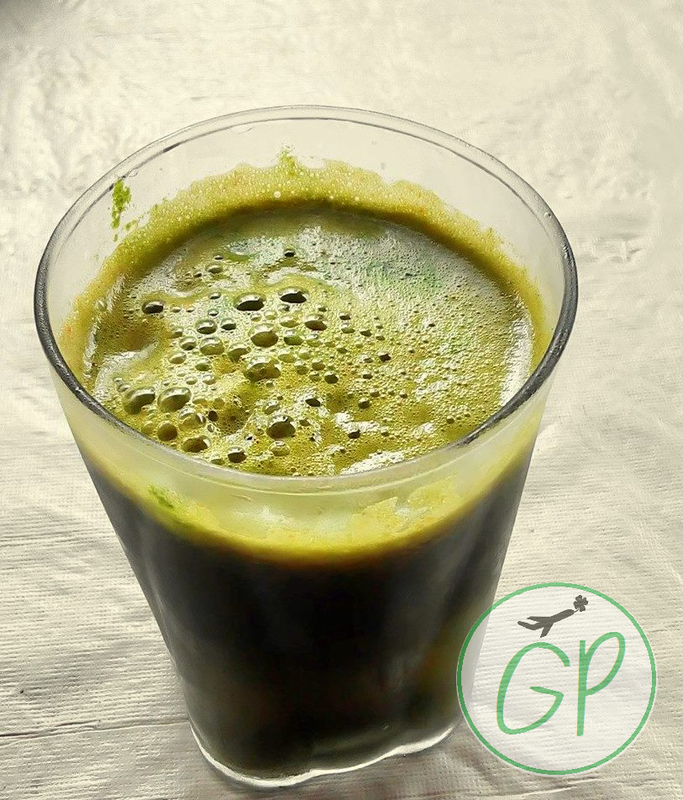 Another benefit of juicing green leafy vegetables is its Super Potent Antioxidant properties or chlorophyll. In biology class, we were told that this is the green pigment found in vegetables which plays a vital role in photosynthesis, well guess what, its nutritional versatility expands to promoting weight loss and controlling body odor/bad breath too. Having said those facts, below is the recipe for my staple hulk-y looking but healthy juice. Note: All ingredients are Organic produce. I prefer it that way 🙂 Also, adding a handful of parsley to any fruits or veggies makes the taste even more bearable. Well, at least for me. Wash the vegetables thoroughly. Depends on the juicer you are using, cut or break the veggies to fit in accordingly. If you find the pulp watery, you may opt to have a second squeeze. Drink the juice immediately. Tip from Experts: Drink juice the soonest possible because once all ingredients are juiced it starts to lose nutritional value overtime. If stored properly, it can last up to 2 days max. Remember that there are no preservatives in fresh juice so it can go bad quickly. To maximize the vegetables you used for the juice, you can set aside some of it to up-cycle your meals. For example, you can add the carrot pulp to have carrot rice or veggie balls. I’ll have a separate post on the food up-cycling and “inventive cooking” later on. I actually have a list already as I find joy on being creative in the kitchen. So excited to share them! For more juicing or health tips in general, here’s one very nutrition-packed website I frequent that can be of help for you too.